Valid on select 2019 and 2020 departures. Your guide will meet you at the passenger reception in Puerto Natales at 4:00pm and brief the group on safety procedures. 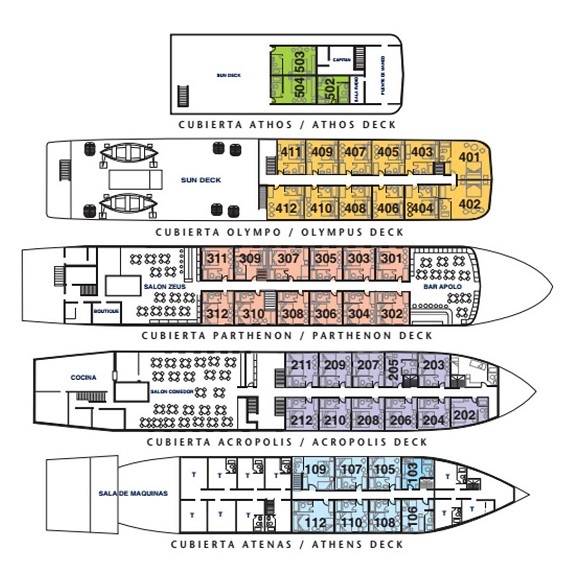 The M/V Skorpios III will depart this evening between 5:30pm and 6:00pm. 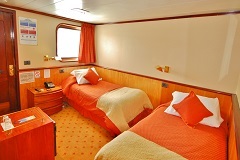 As the ship begins to set sail towards the Sarmiento channels, take your time to settle in your cabins and explore the ship's interiors. 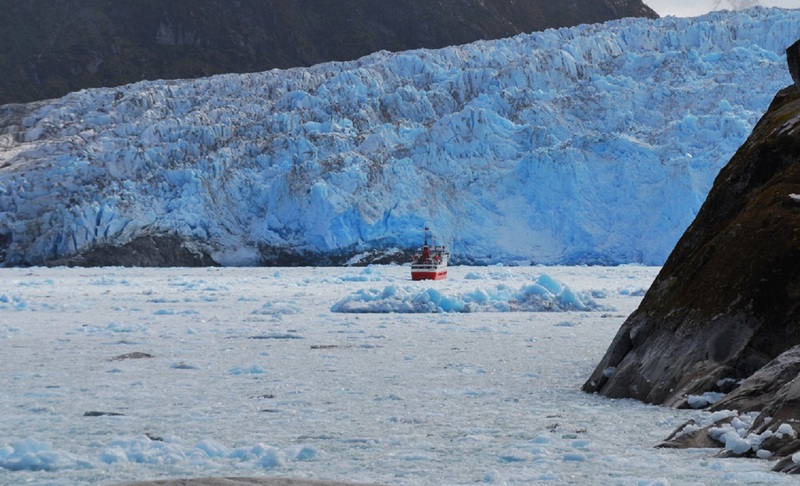 In the early morning the ship will arrive at Amalia glacier. 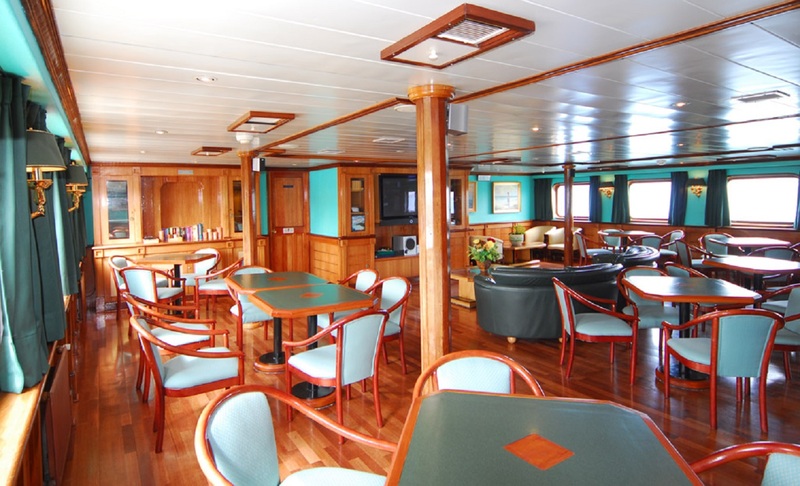 Marvel at the spectacular panoramic view of the glacier from the ship's deck before disembarking at a nearby beach. 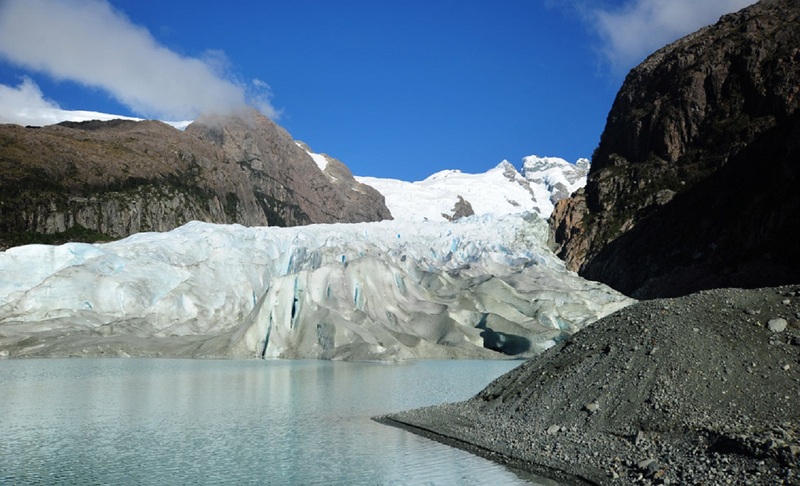 Here you will soft hike along the beach to a spectacular viewpoint where you can appreciate this beautiful glacier. 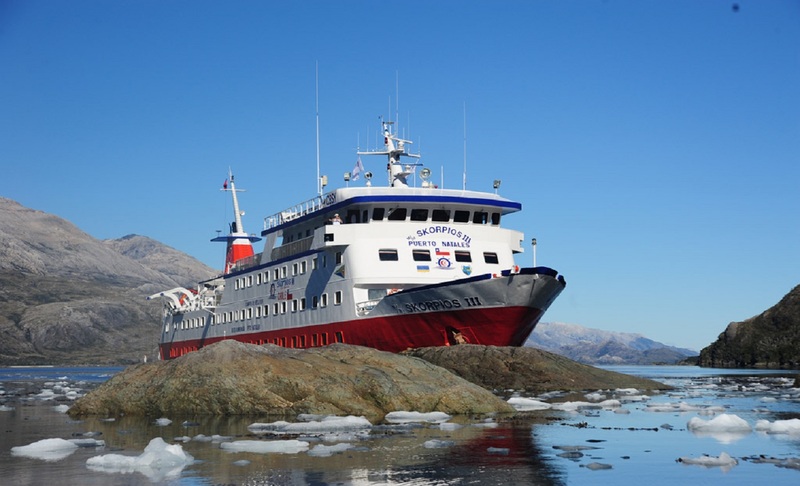 Return to the ship in the afternoon for lunch before reaching El Brujo glacier where you can disembark and admire the glacier from a nearby rock (weather and ice permitting). 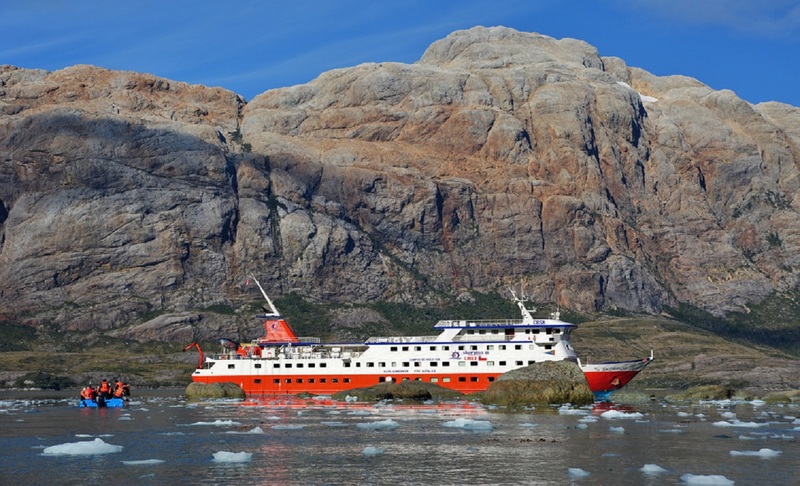 Continue to the amazing Calvo fjord where you will go on an excursion aboard the Capitan Constantino icebreaker as it navigates between the ice. 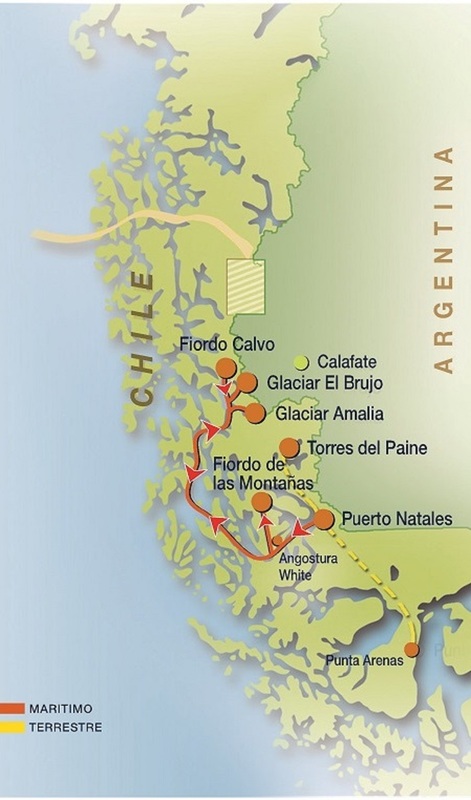 You will arrive to Montanas Fjord in the morning and be presented with four glaciers sliding down the Sarmiento Mountains. 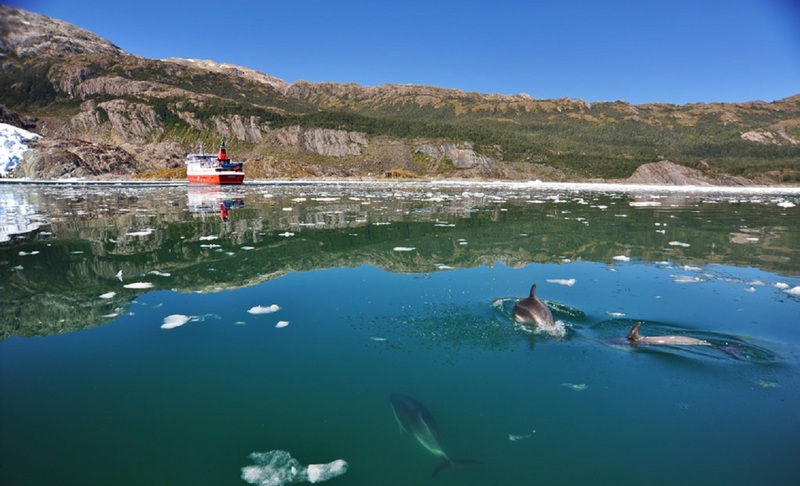 Hop on the zodiacs and explore this small bay and its glaciers! 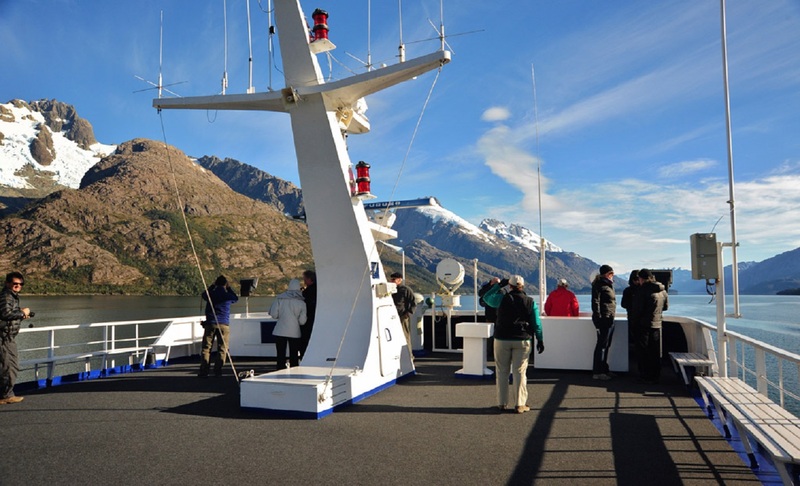 Return to the ship and continue sailing through the Montanas fjord and towards the Bernal glacier. 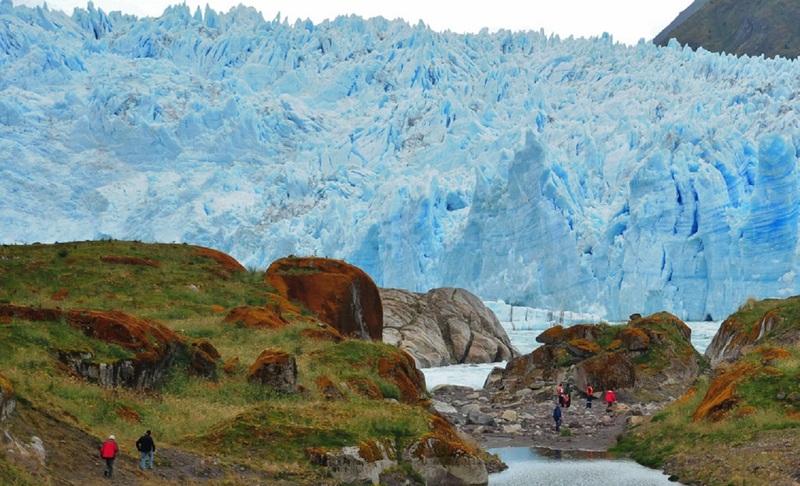 Here you will disembark and stroll through a small native forest, cross a stream and reach a glacier lagoon. 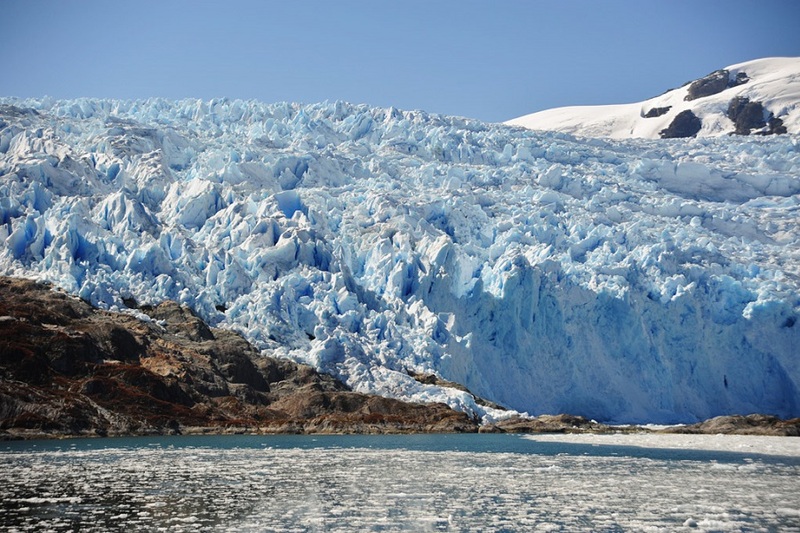 Once you arrive at the glacier, you can feel and touch the ice as it melts between your fingers! 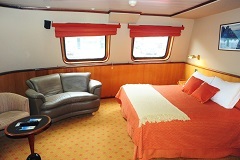 In the early evening, you will reach White Angostura where the group will disembark and sail on zodiacs through islands and rocks to observe native fauna and flora. 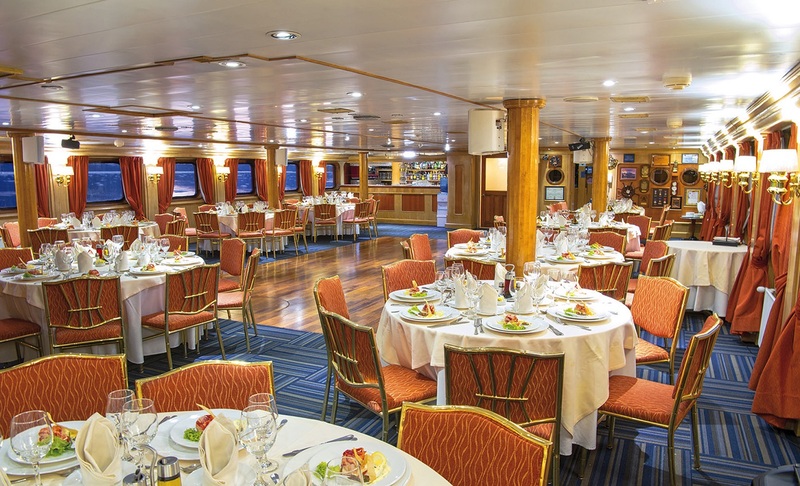 Once you return on the ship, there will be a farewell party set up and a delicious dinner with the Captain to celebrate a memorable journey through the coast of Chile. 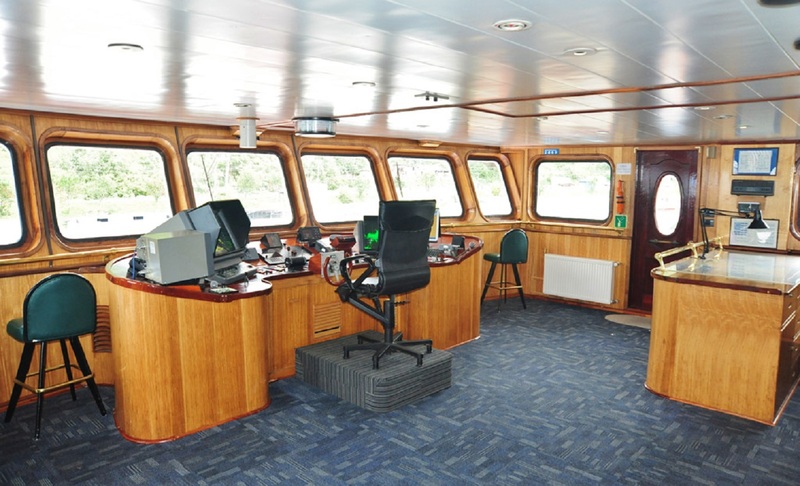 The ship will arrive in Puerto Natales where you will disembark the ship and bid farewell to the expedition team and your fellow travellers. For further trip extensions or transfers to the airport, you are welcome to enquire with one of our consultants. 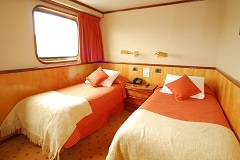 Twin beds or double bed, upper or lower bunk berth, ensuite bathroom with shower, television, safety deposit box and sitting area. 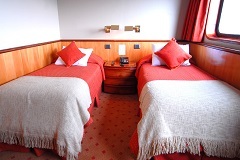 Twin beds, ensuite bathroom with shower, television, safety deposit box and sitting area. 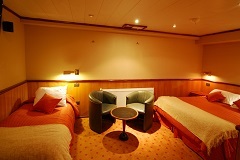 Twin beds or double bed, ensuite bathroom with shower, television, safety deposit box and sitting area. 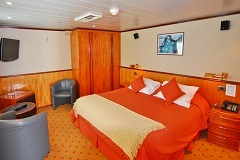 Large matrimonial bed, ensuite bathroom with shower, television, safety deposit box and sitting area. 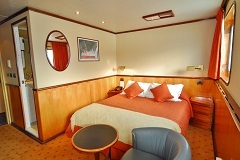 Large matrimonial bed, ensuite bathroom with shower, television, safety deposit box and lounge area.